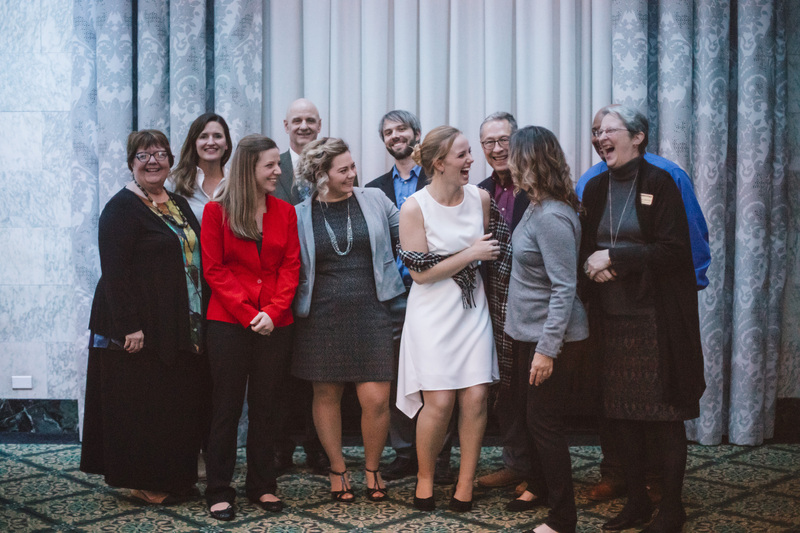 On Thursday, November 8, 2018 at The Ballroom at McKay Towers in downtown Grand Rapids, the West Michigan Chapter of the U.S. Green Building Council held their Annual Party and First Leadership Awards Ceremony for both members and guests. 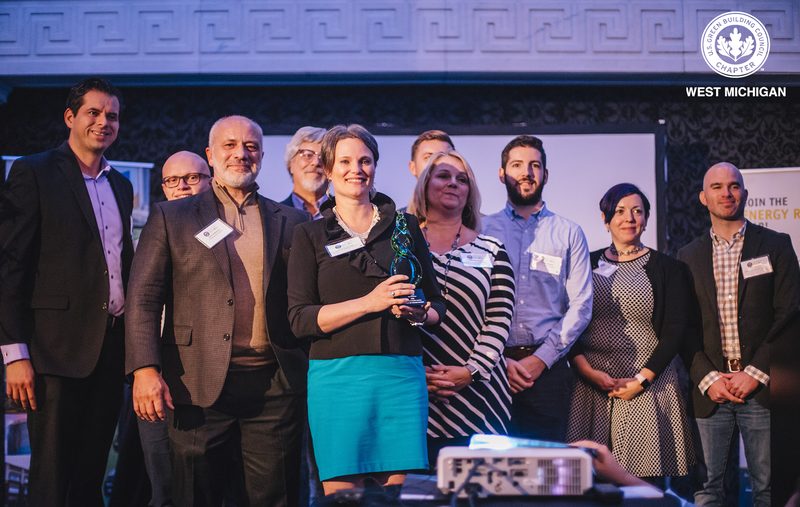 The event honored individuals and corporations for their achievements to bring healthier, more sustainable buildings to Michigan communities. More on that later. The evening was a celebration and pre-holiday gathering for everyone in attendance. Live music added to the warm ambience spreading throughout the room. Whether the location or time of year, the event was not your run-of-the-mill awards ceremony. It felt more like a community celebration … as it should be. After all, the West Michigan, as well as this regional USGBC chapter, have much to celebrate. With much focus on sustainability from developers, building owners, support from city government, foundations and other non-profits, It’s no surprise the West Michigan region is leading the state in the push to make their buildings, and environment in general, more sustainable. Consider three separate sustainable movements happening in West Michigan : 1. Battle of the Buildings success with over $7.6 Million in utility savings last year and over 200 Million square feet involved this year; 2. A new Grand Rapids 2030 District with 150,000 square feet of buildings under audit and more than double the square footage of audits scheduled for next year; and 3. Grand Rapids’ selection of as a Zero Carbon Cities Pilot Project. 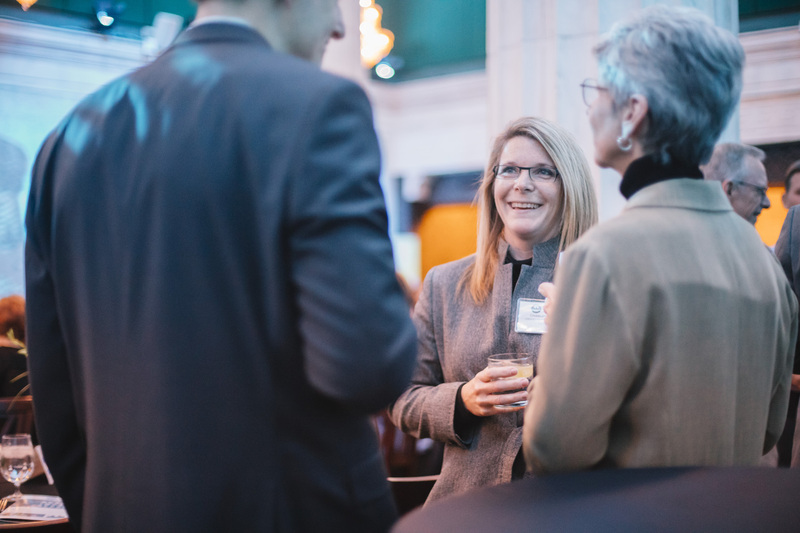 Having covered sustainability initiatives and movements throughout Michigan over the last several years, there is very little to compare to the sheer breadth and depth of Grand Rapids sustainability initiatives and successes. With that said, the keynote speaker gave the audience some additional food for thought. The guest speaker for the evening, Andrew Hoffman, spoke on the Future of Sustainability. Dr. Hoffman is the Holcim Professor of Sustainable Enterprise at the University of Michigan and holds both MS and PhD degrees from MIT. In his current position, Andy holds joint appointments in the Management & Organizations Department at the Ross School of Business and the Sustainable Systems Group at the School of Environmental Sustainability. Dr. Hoffman is a prolific writer, having published many books and articles on sustainability. He also has accomplished a long list of honors from organizations such as the Aspen Institute, American Chemical Society and the Aldo Leopold Fellowship. Andy focused on the fact that sustainability can be part of a culture shift and acknowledged the greater attention being paid by business schools to enterprise integration and business sustainability 1.0. Andrew spoke of sustainability being the change in our culture, similar to the typewriter or a personal computer from prior generations. He commented that sustainability is changing our behavior, causing a simultaneous market shift and culture change. The audience learned a new word from Dr. Hoffman: Anthropocene, relating to or denoting the current geological age, viewed as the period during which human activity has been the dominant influence on climate and the environment. Andy observed that within the next fifty (50) years, fifty (50%) percent of all species will be extinct due to humans’ impact on earth. Since Dr. Hoffman commented people are not moved by data but by stories, let the storytelling begin as the world needs to recognize the negative impact wrought upon earth’s ecosystems. 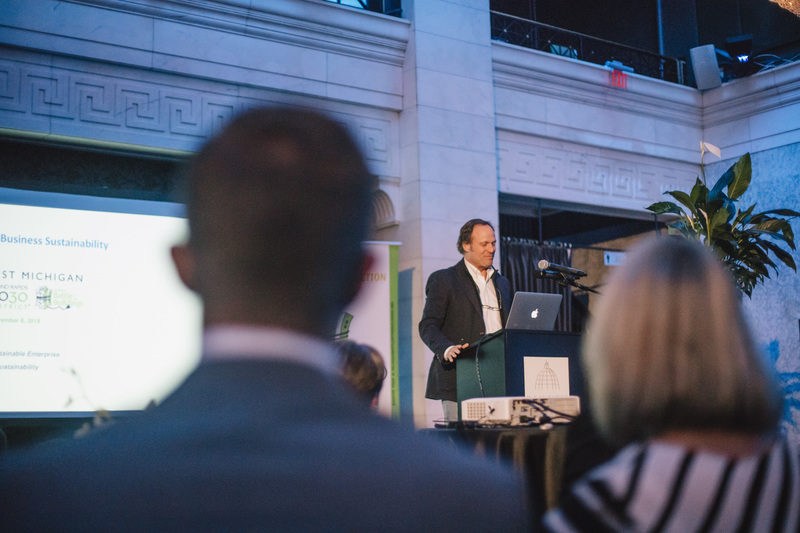 It was a special evening celebrating the ever-growing sustainability community of West Michigan. 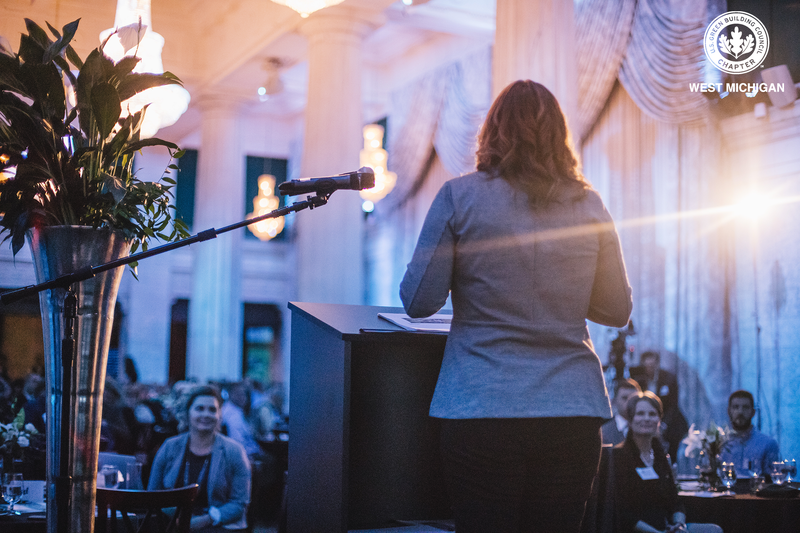 The palpable energy of the sold out event signaled the spirit and potential this movement can have in the City of Grand Rapids, as well as around this state and country. Looking forward to more growth and collaboration within this sustainable business community and beyond. Robert Mattler, JD LLM LEED AP BD&C, is a sustainability financing specialist, consulting with developers, redevelopers and building owners on financing upgrades to all asset classes of non-residential real estate, including new developments, for resiliency and sustainability. A former Board Member of USGBC Detroit Chapter and current Ambassador for Detroit’s 2030 District and Leadership Council member of Ann Arbor’s 2030 District, Robert employs Property Assessed Clean Energy (PACE) financing and other financial structures allowing building owners to lower operating costs, increase building value without changing the owners’ goals of maximizing investment returns. Robert can be reached at greenps14@gmail.com or 248-762-4370 (cell).